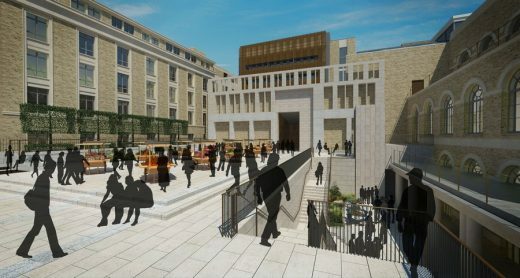 £9.3m project will transform a Refectory and an underused service yard into a vibrant social space and courtyard, restoring the historic splendour of the heart of the university and improving campus connectivity. 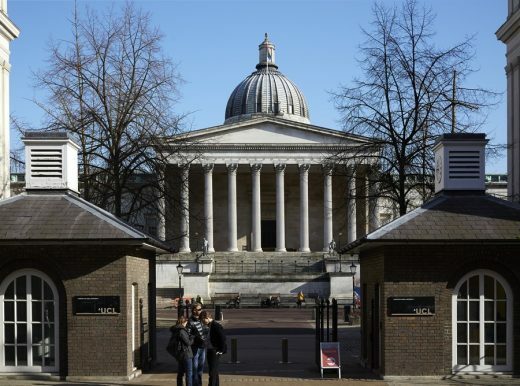 University College London have received planning permission for their Wilkins Terrace and refectory project within the environs of the Grade I listed Wilkins Building, a part of the Bloomsbury Campus. 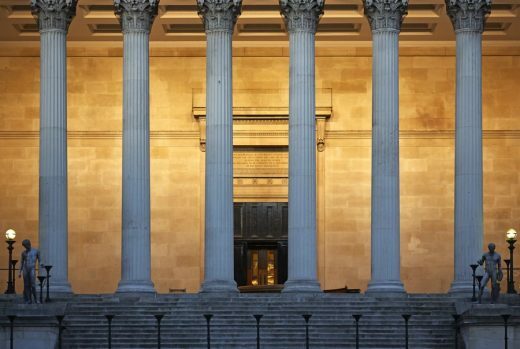 The changes bring together Burwell Deakins Architects’ remodelling of the Wilkins Lower Refectory and Levitt Bernstein’s transformation of the adjacent yard into a new contemporary courtyard and terrace behind the historic Portico that UCL is synonymous with. The £9.3m redevelopment will provide a refectory of the highest quality offering a variety of dining and café space, connected to the new Wilkins Terrace, formed at the level above, to accommodate a range of formal and informal uses and providing a new east west link across the UCL campus.The scheme forms part of UCL’s masterplan to improve student experience by improving the quality and variety of facilities and accessibility around the campus. Enabling works have already begun to allow project construction to start promptly in December 2014. Wilkins Terrace, within the site of what is currently known as the Physics Yard, is one of the most significant part refurbishment, part new-build projects to be carried out within the UCL Bloomsbury Campus and forms an intrinsic part of the current Wilkins environs projects. The former service yard was previously unloved and disconnected from the rest of the campus, so the design endeavours to create an entirely unique space which is also connected to those around it in a usable way, thereby strengthening pedestrian links through the campus as a whole. Students and staff members will be drawn through the buildings to ‘discover’ the unique courtyard spaces within. 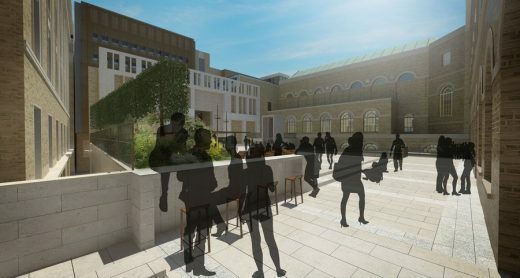 Three new ‘doorways’ will be formed through the courtyard to create this pedestrian link, sensitively incorporated by using the existing shapes of the listed windows of the adjacent North Cloister. A new lift and dual stairway access also allows the upper terrace to be accessed from the seating area below which leads through a colonade to the Lower Refectory. 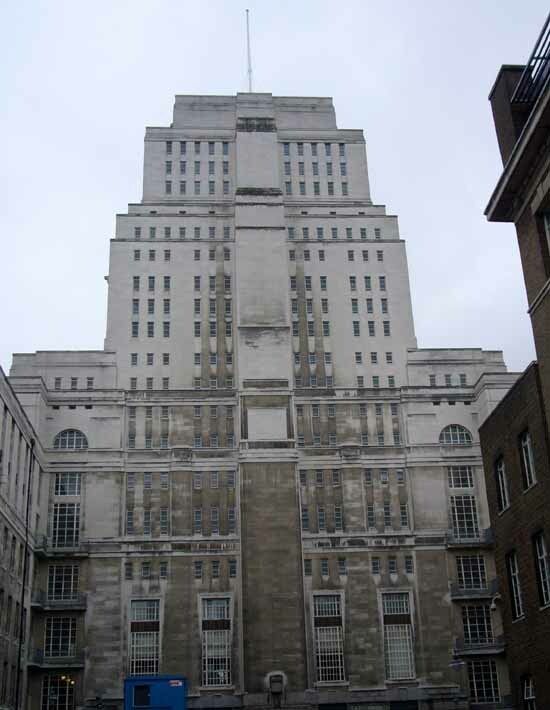 The new terrace and facade do not directly touch the Grade 1 listed Wilkins or Physics Buildings, with a light bridge connection at the Bloomsbury Theatre and 1960’s Donaldson extension. Wilkins Terrace forms a largely free-standing object within the space with its own architectural identity inspired by the materials and geometries of its context. The upper courtyard will be an active social space, suitable for hosting a variety of different events. It will become home to student fairs, open air exhibitions, fashion shows and performances. Even when it is not being used for events, the space will provide UCL staff, students and visitors with functional and beautiful space. The terrace deck, fourth façade, fixed seating bays and new edge walls are clad in Portland stone, of three types of textures ranging from a medium compacted Jordans Whitbed to a fine grain Grove Whitbed, which displays a unique fossil structure. Strong planting design will include UK native fruit producing trees and a selection of plants chosen for their scent, blooms and culinary uses. The Lower Terrace will form a striking outlook from the main refectory dining space, increasing the refectory’s seating capacity and providing further opportunity for attractive and ecologically beneficial planting. Designed by Burwell Deakins Architects, the Lower Refectory will occupy a key location between the new Wilkins Terrace and the Japanese Garden. Within the total reorganisation of the space, the Refectory Dining Hall will be relocated to the heart of the Wilkins Building to inhabit the original double height arched space, whilst the new servery and back-of-house support facilities will be moved to the less grand secondary spaces below the Bloomsbury Theatre and new Wilkins Terrace. 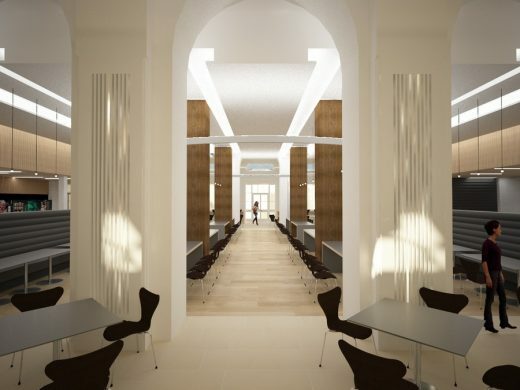 The existing ceiling and interstitial services gantry above, will be removed allowing the arches and clerestory windows to be exposed again, reestablishing double height daylighting to both sides of the dining hall, providing UCL with a grand collegiate dining facility within the Central Bloomsbury Campus. In order to improve the connection between the North and South Refectory facades, the glazing to both is going to be restored with additional entrance doors added. The main entrance to the servery will improve upon the existing arrangement, providing a grander entrance accessible for all. Fixed banquette seats aligned with the existing arched structure will present defined spaces within the dining hall linked with a huge, dramatic circular light installation. 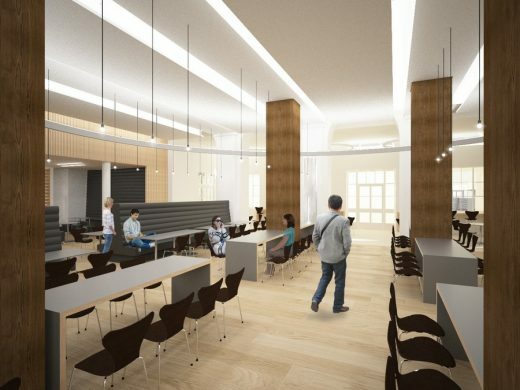 The East and West ends of the dining hall will have more intimate seating areas and a coffee bar with lowered acoustic timber ceilings creating privacy and a variety of experience. Flanking ‘orangery’ spaces will offer more informal seating. A stone floor finish will enhance the link with the external colonnades and terrace. 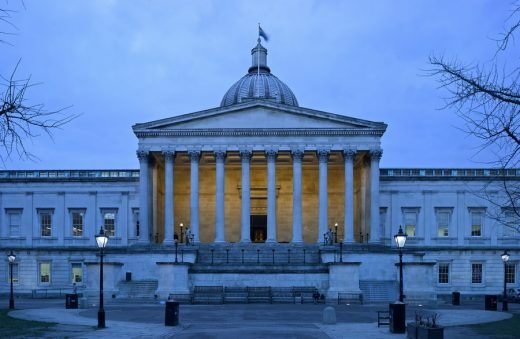 The Wilkins Building took its name from UCL’s first architect William Wilkins, who envisaged the19th-century visitor entering the university through the octagonal hall situated at the top of the portico steps. Wilkins also designed the National Gallery and buildings for several Cambridge colleges. 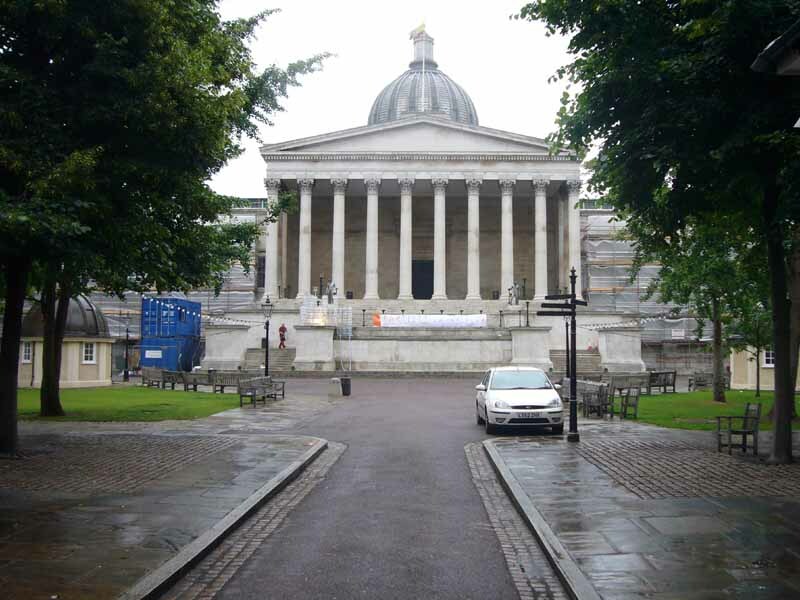 The project is part of UCL’s wider programme to upgrade its Bloomsbury Campus. The new development sits harmoniously within the surrounding listed buildings with the new terrace and façade being a free-standing object within the space, inspired by the materials and geometries of its context. 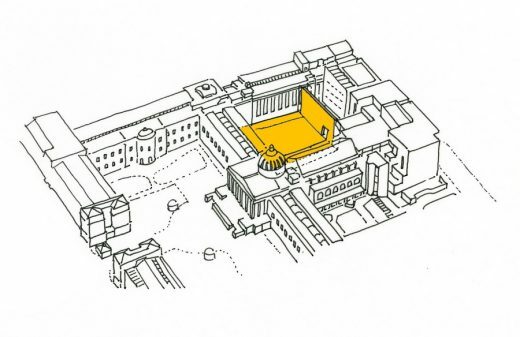 Together, the refurbished Lower Wilkins Refectory and transformed Wilkins Terrace will modernise this part of UCL, whilst simultaneously referencing and building upon the historic splendour of the site.